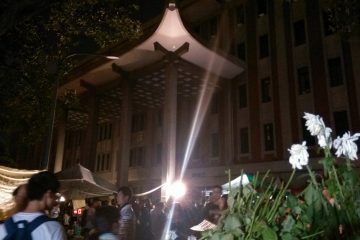 ANGER HAS broken out from Taiwanese activists after attacks by members of the KMT Youth Corps on the Alliance of Referendum for Taiwan’s (ART) long-standing occupation tent outside the Legislative Yuan yesterday. 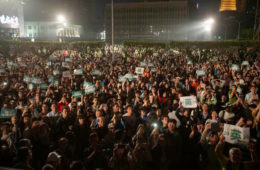 The ART, which later expanded to become the Free Taiwan Party during 2016 elections, has maintained the occupation tent to call for referendum reform in Taiwan and a referendum on the issue of Taiwanese independence for close to ten years. 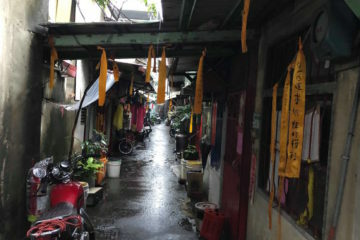 Members of the KMT Youth Corps numbered between 30 and 40 and, reportedly, some were armed. Apart from tearing down the tent and banners attached to the tent, KMT members also splashed red paint onto the tent. Four members of the KMT were later arrested. 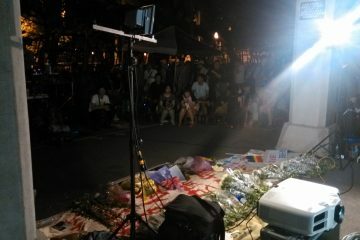 As the ART occupation tent has become a permanent fixture near the Legislative Yuan that police tolerate, few ART members seem to have been present at the tent when this took place. KMT members livestreamed their actions on the Facebook page, ROC Blue Power (藍色力量), which has a suspiciously high number of likes at over 100,000 likes. 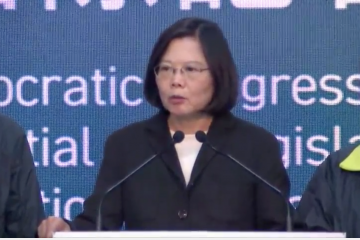 Many leading KMT politicians do not have over 100,000 likes on Facebook. This suggests that some likes may come from fake accounts in the hopes of generating the appearance of widespread support for the KMT attempting to tear down the ART’s tent. 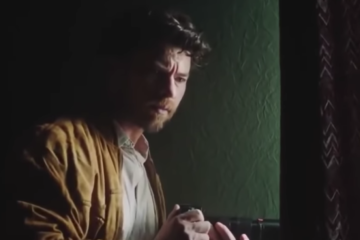 The video was later removed from their Facebook page. 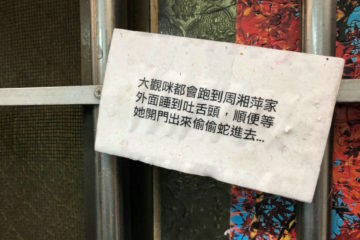 Likewise, it is actually somewhat questionable whether the individuals that attempted to tear down the ART’s tent were in fact members of the KMT Youth Corps, many appearing in the livestream to be middle-aged individuals. 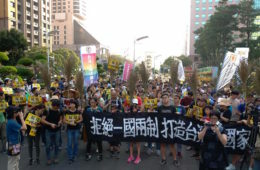 In 2016, members of the KMT Youth Corps caused controversy by calling for reforms within the KMT in response to the crisis of the party following the Sunflower Movement, demonstrative of how the party had lost the support of Taiwanese young people. KMT youth reformers called on the party to clean up its internal corruption, even if they largely did not repudiate or acknowledge the KMT’s authoritarian history. But many of these youth reformers were driven out of the party for calling for reform, with the accusation that they had been infected by pan-Green ideology and were turncoats within the party allied with rogues as Wang Jinpyng of the “Taiwanese” faction of the KMT. More recent actions by members of the KMT Youth Corps demonstrate that the remaining members of the KMT Youth Corps have seemingly fallen in line with the hard line taken by the party. This is evidenced in members of the KMT Youth Corps demonstrating outside a talk by a talk on January 19th by Rainer Eppelmann, head of the government-funded Federal Foundation for the Study of Communist Dictatorship in East Germany, on the experience of transitional justice in Germany. 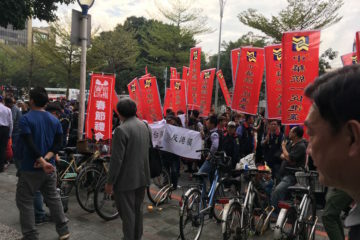 Members of the KMT Youth League, which seem to have numbered a half dozen in number, held up signs outside the talk calling on Eppelmann to “Sincerely Suggest that you do NOT be fooled by DPP, which is the living example of dictatorship” [Sic], claiming that “Taiwan is the Democratic Light House of Asia, which is leaded by the KMT” [Sic], that the “KMT is Anti-Communism, KMT is Anti-Dictatorship,” [Sic] and that “KMT leaded Taiwan to fight for freedom for seven decades” [Sic]. This action seems to demonstrate that remaining members of the KMT Youth Corps evidence an authoritarian mindset that does not acknowledge the KMT’s crimes during the martial law period, not so different from their elders within the party. Attacks on the ART’s occupation tent previously also came from members of the self-proclaimed “800 Heroes”, a group of individuals who are mostly elderly former military personnel who have been demonstrating the Tsai administration’s planned pension reforms. 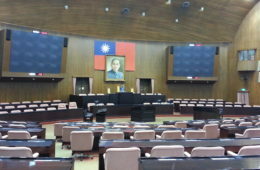 During the authoritarian period, the KMT generously rewarded members of the military, police, teachers, and public servants with lucrative pensions in return for political loyalty, but these pensions now threaten to bankrupt the pension system for Taiwanese society as a whole, particularly seeing as some of these pensions are more than monthly salaries for many Taiwanese. 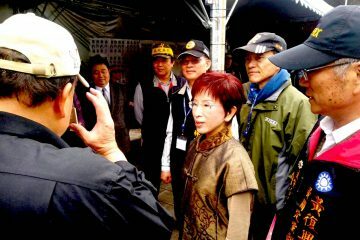 Many, then, see these individuals opposed to pension reform as selfishly threatening the welfare of Taiwanese society as a whole because they cannot let go of their government-sponsored wealth and continuing to evidence an authoritarian mindset—particularly because many of these individuals were former enforcers for the KMT party-state during authoritarian times. 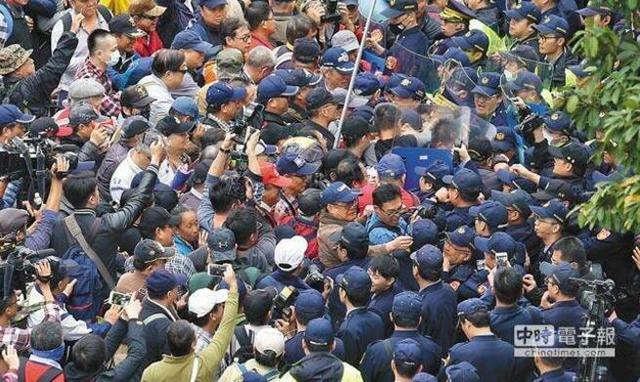 As a result, the “800 Heroes” also took to maintaining an occupation encampment outside the Legislative Yuan and have attempted to storm the Legislative Yuan several times, the most recent attempt of which took place on February 27th. This action was planned to coincide with 228 Massacre commemorations the next day, but led to 62-year-old retired colonel Miao Te-sheng (繆德生), secretary-general of Blue Sky ROC Action (藍天行動聯盟) falling from the Legislative Yuan roof and later dying of his injuries. Much outrage has ensued regarding the KMT disregarding the 228 Massacre, which was committed by the KMT and was the prelude to tens of thousands of political killings by the KMT during the White Terror, in order to try and draw attention to its opposition to pension reforms. Given other incidents in which pro-unification groups have attacked pro-independence demonstrators, then proved to have organized crime ties, it is also not impossible that this is the case with purported KMT Youth Corps members that attacked the ART occupation. 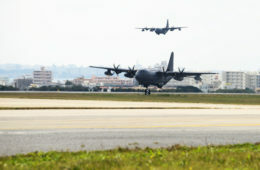 The most recent high-profile example of this would be during attacks by pro-independence student demonstrators during the “Sing! China!” event held on the NTU campus as a product of city-level exchanges between Shanghai and Taipei organized by Taipei mayor Ko Wen-Je. Other examples include attacks on visiting Hong Kong activists from the Umbrella Movement, such as Joshua Wong Nathan Law of Demosisto. It is notable that the attempt by supposed KMT Youth Corps members to tear down the ART’s tent involved splashing the tent with red paint. On 228, members of the pro-independence youth group, From Ethnos To Nation (FETN), splashed Chiang Kai-Shek’s mausoleum with red paint. While much controversy has ensued about how to resolve the issue of Chiang Kai-Shek statues that remain all around Taiwan in spite of the fact that Chiang was an authoritarian mass murderer, leading to yearly statue defacements by pro-independence activists. But few had previously drawn attention to the fact that the bodies of Chiang Kai-Shek and his son and successor as dictator, Chiang Ching-Kuo, remain enshrined under ceremonial guard at the public expense. 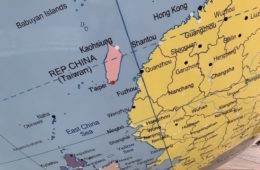 As FETN has ties with the ART and Free Taiwan Party, this may have been why KMT members targeted the ART’s occupation tent and splashed it with red paint. This may also as why the action was framed as an action by KMT Youth Corps members, in spite of many of the participants not appearing to be especially young, seeing as that the defacing of the Chiang mausoleum was carried out by pro-independence young people. 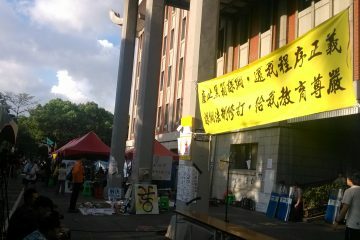 In this regard, much as members of the “800 Heroes” attempted to occupy the Legislative Yuan in imitation of the Sunflower Movement, in the hopes that this would draw similarly widespread public support on the level of the Sunflower Movement, KMT members may have thought that framing the action against the ART occupation tent as a “youth action” would lead to public support. 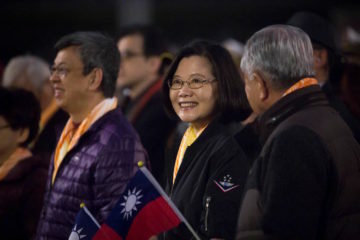 The KMT’s failed attempts to replicate the Sunflower Movement as a way of recouping itself after its defeats in 2016 presidential and legislative elections continue, then. 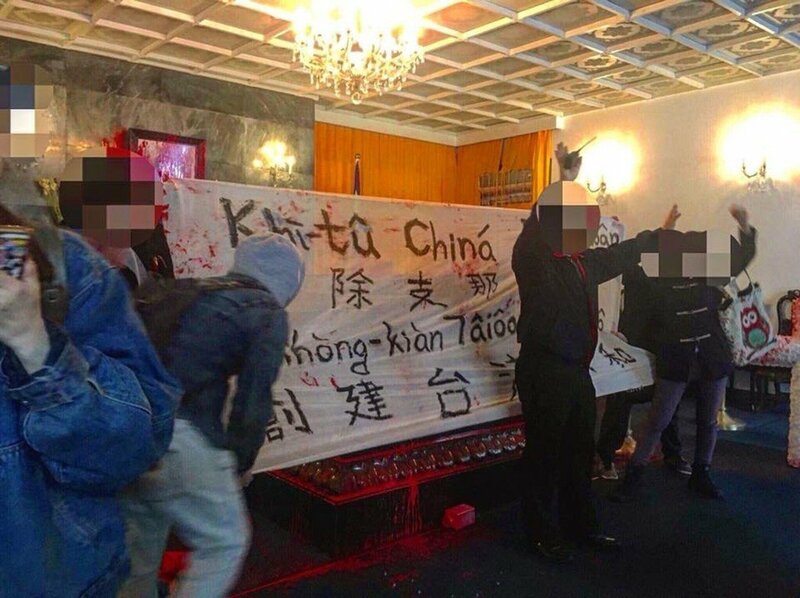 In similar vein, the defacement of the Japan-Taiwan Exchange Association with red paint earlier today was probably also retribution for the Chiang mausoleum defacing. 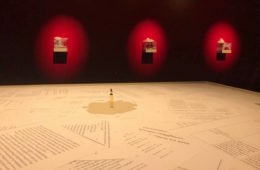 But the red paint used in protests by Taiwanese independence demonstrators is meant to remind of the blood on the hands of the KMT for its political killings during the authoritarian period. The KMT evidently understands little of this if it throws red paint onto peaceful pro-independence demonstrators who were themselves participants in the democracy movement or carry on the legacy of the democracy movement. 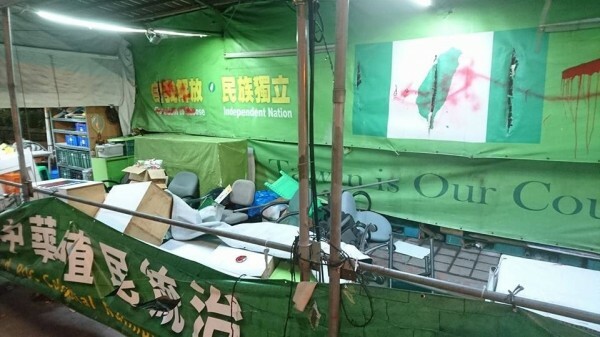 And the optics of KMT members violently tearing down signs emphasizing nonviolent protest from the ART occupation tent do not reflect well on the party. 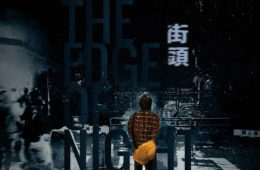 It is quite telling that actions by the KMT, or even the death of Miao Te-sheng from injuries incurred during the “800 Heroes’” attempt to occupy the Legislative Yuan, has not provoked strong social outrage. On the other hand, during the Sunflower Movement, Tsay Ting-Kuei, the convenor of the ART and later the Free Taiwan Party, was struck by a bus during the Taipei police clearing out remaining occupiers who refused to withdraw from the occupation encampment around the Legislative Yuan after those within the Legislative Yuan withdrew during the early morning hours of March 11th. 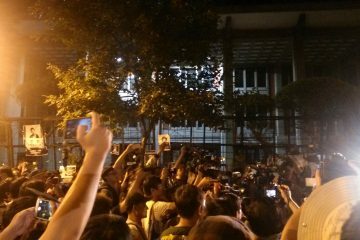 This led to thousands gathering outside of Zhongzheng First Police Precinct that night in order to protest police brutality during this eviction, as spurred by outrage over injuries suffered by Tsay. 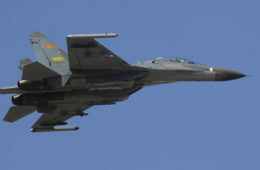 But despite the fact that Miao literally died from his injuries and Tsay actually only appears to have suffered minor injuries during this incident, no similar outrage has ensued for Miao, nor does it seem likely to occur in the future. 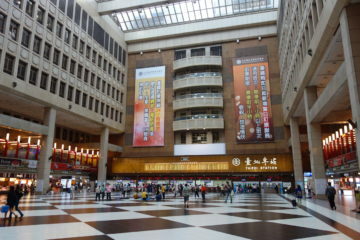 Even if it is another matter to overcome indifference to addressing the unresolved issues of Taiwan’s authoritarian period, society simply is not on the side of the KMT when it comes to attempting to rally opposition to pension reform or to rebuild public support for the KMT through appeals to authoritarian nostalgia. Regardless, one generally expects the KMT to try and continue to escalate their actions, even if this does not win any public support. 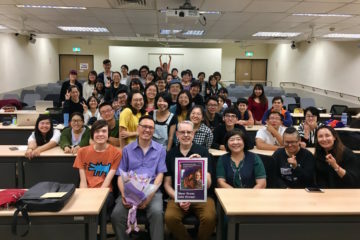 This may reflect the means by which the KMT simply lives in an ideological bubble world, not always realizing how their actions reflect on the public. One does not expect this to translate into electoral successes very well in upcoming 2018 elections.